Most visitors to Madeira stay in or near the capital of Funchal. A dual carriageway road leads to the 'hotel zone' to the west, including the famous Reid's Palace Hotel, now owned by the Orient Express Group. Just above the harbour is the new Royal Savoy, the latest extension to the Hotel Savoy. The two are inter-connected by a pedestrian walkway across a main road and guests can use the facilities of both. This is a 5-star resort with spectacular views, a heated indoor pool and an outdoor seawater pool, several restaurants, terraces and gardens. 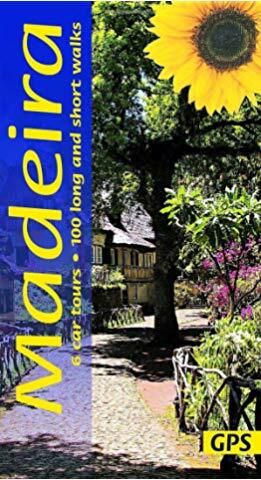 These are all within easy walking distance of central Funchal. Other high quality hotels include the 5-star Cliff Bay Hotel, which is further away from the road itself. 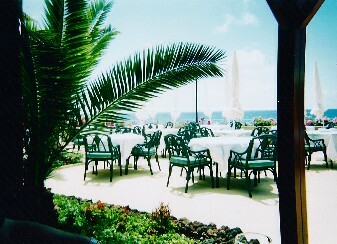 Accommodation here is excellent with a number of restaurants. The main dining room offers theme nights, mainly on a buffet basis and can be somewhat over-organised for some people's tastes. We never could quite work out how some people got better tables than others! The hotel is built on a number of levels with a choice of pools and a seafront lift taking you down to the lowest level with its own restaurant. Both Reid's and the Cliff Bay are located within a reasonable distance of Funchal town centre. But the hotels stretch on for several kilometres. Buses and taxis are reasonably plentiful although buses can get extremely crowded. Some traditional Quintas also offer accommodation. The Quinta Mãe dos Homens is an extremely friendly option, providing good value self-catering apartments with their own balconies or terraces. This is located on an uncrowded bus route - well away from the hotel zone - in a residential district on the steep slopes above Funchal. Much less busy than the hotel district, but without the 5-star facilities of the better-known hotels. Walking down is good exercise - walking up is something else! The bus makes it easy.